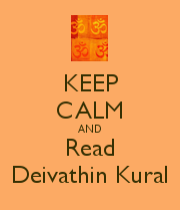 Thanks to Dr Sujatha Vijayaraghavan for the share. Her colleague, Prof Clement S Lourdes, Dept of English, Pondicherry Univ, is an expert in portraits and has done these sketches. His works feature in many museums( Air Force, India, of Fighter plane sketches) and exhibitions in India and abroad. 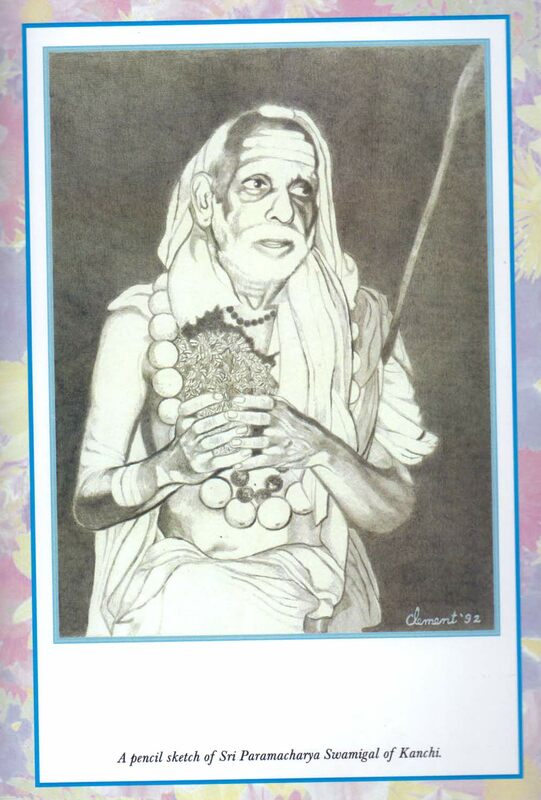 Another one he did of Maha Periyava – doing anushtana on the steps of a temple pond – was retained by Maha Periyava and given to a devotee nearby. This one was returned to Clement with His appreciation and blessings. 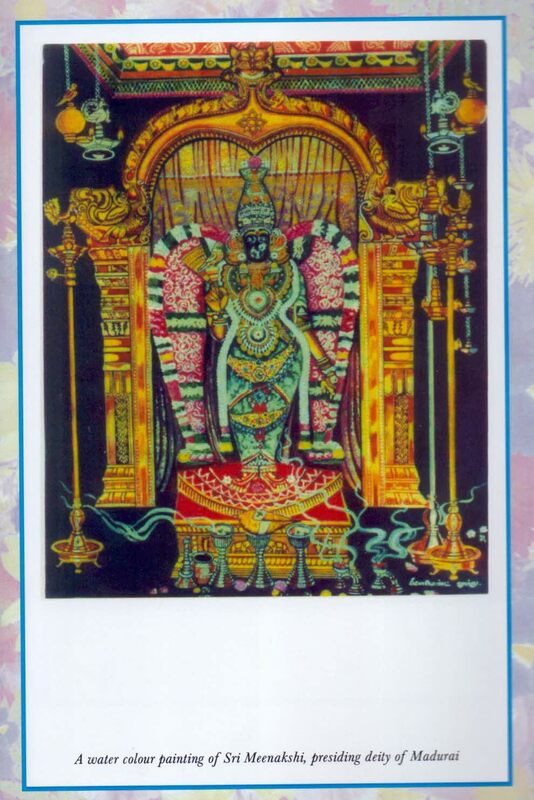 Also enclosed is a water colour of Madurai Meenakshi by Clement. Professort Clement is clearly a blessed person to receive blessings from Mahaswami directly by acknowledging the work etc. 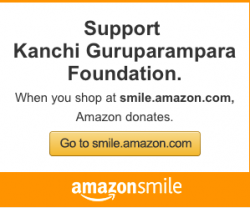 Both Mahaperiyava and Meenakshi are so real. Great work. Blessed to see these. Only the real blessed can draw Periyava with such a great level of perfection. Our sincere thanks to him and Smt Sujatha for the share. 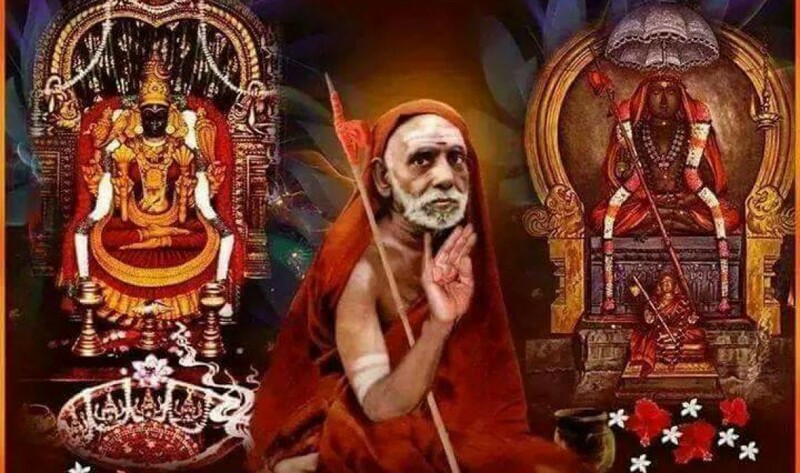 Maybe Prof Clement can share his experience of Mahaperiyava’s darshan when time permits! Jaya Jaya Sankara Hara Hara Sankara Pahi Pahi Sri Maha Prabho. Janakiraman. Nagapattinam.